And there we went again. A third Coachella in a row under our vintage leather belts. I couldn't have asked for a more fitting way to ring in what summer means to me. And with the most perfect people in the world. My sister Natalie and our friend Kiara from Tobruck Ave packed an SUV full of musical dreams and road tripped our way to our desert destinies from Los Angeles. After SXSW, I almost nixed the idea of another music festival so soon after. 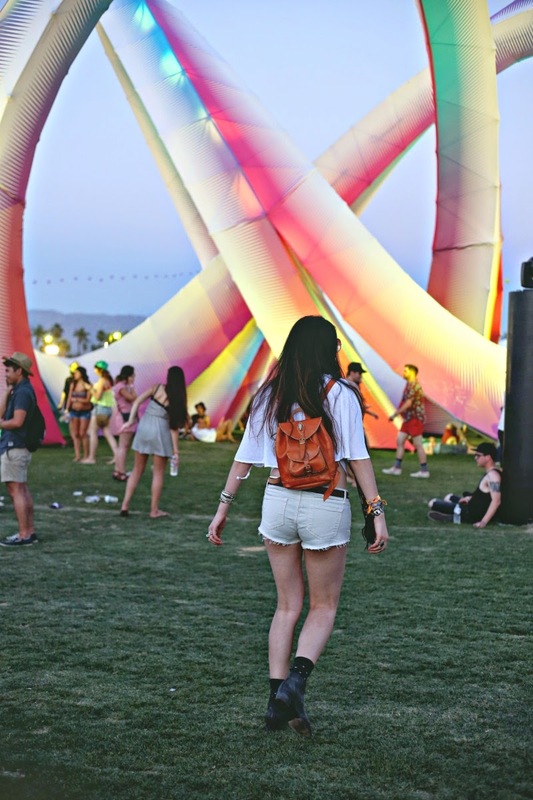 There is no such thing as rest during Coachella, and rest was all that I really needed. These things can wear you out. But a last minute plan came together thanks to the LULU*S team, and once again that Coachella ella ella temptation hit again and all was meant to be. You know how it is. We jump the bandwagon when you least expect it. We might have made it to Coachella a little later in the afternoon on Friday since I arrived in Los Angeles that morning, but we fit in a great schedule of bands to see, starting with Ellie Goulding. Still humming her heavenly melodies in my head. I'd never get through the gym without this girl. We caught a bit of Chromeo on our way to see Woodkid, which was absolutely major. A darkly lit tent filled with his intense beats was a hypnotic experience. Woodkid is truly one of a kind. Then off to Girl Talk we went for a major dance party that reminded us that it was going to be a weekend that would feel like a never ending Friday. We ended the night shaking our booties to OutKast. We slept like babies that night. We ran from stage to stage winding in and out of the packed crowds, dancing the entire way through like flower children. That might have been the best part of Coachella. Being free birds with the feeling of endless space all around us and without a care in the world. Just me and mah girls. You look amazing, Dylana! So jealous you were to able to go to Coachella. It's always been a dream (and life goal) of mine to be able to go at least once and their line-up this year was so perfect!! 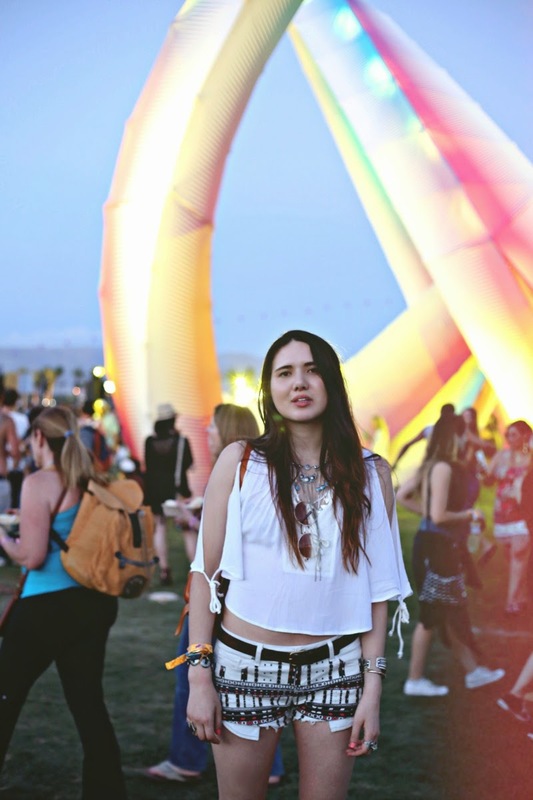 You look gorgeous babe, love your Coachella pics! Dylana you look gorgeous! i love those shorts! You look so happy. Have a good day.